There are many forms of freedom, spanning anywhere from freedom of religion to freedom of speech, all of which Burma’s government strictly regulates. Political freedom is no exception to the rule. In 1990, a parliamentary government was fairly elected by the Burmese people with Aung San Suu Kyi at its head. 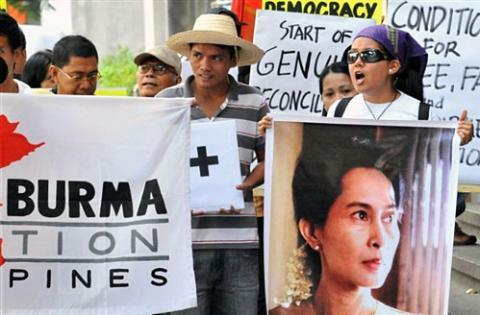 Burma’s military junta ignored the election and placed Suu Kyi under house arrest. Since then, the military and its generals have ruled Burma with little regard for the freedoms its people deserve. This flawed election day will be the first held in Burma in the last 20 years, but under the nation’s constitution and electoral laws there seems to be little hope for change, according to VOANews. The restrictions set forth in the constitution limit campaigning, media exposure, assembling for political reasons, and that any party participating in the election must uphold the current constitution. Under this latest constitution, established in 2008, the military is guaranteed one quarter of the seats in parliament. The National League of Democracy, the main opposition party led by Suu Kyi, has pledged to continually protest these elections and not partake in them as a further sign of disapproval of the harsh electoral restrictions. In April, Suu Kyi pledged not to even register her party under the new laws. Even Martyrs’ Day, a celebration of seven Burmese independence leaders, was tightly controlled by the junta this past Friday. Just another sign of how the military controls freedom of expression throughout Burma, even during a holiday of reverence and mourning of former national heroes. This is just one of many stories we will cover in greater detail in our upcoming special issue on Burma. Click here to join our mailing list and receive a notice when the Burma issue is published.